Growling Tiger Fantasy Dagger And Scabbard - Stainless Steel Blade, Faux Leather Wrap, Brass Look Collectible - Length 13 1/2"
It's a great dagger but, its blunt and dull. The blade i got was a little bent but other than that it is a great dagger! Great looking sword and high detail, but the discription needs to be fixed it reads (FELL) instead of (FEEL)?????? Response: Thank you for letting us know! We will definitely take care of our description spelling error. I'm very happy with this dagger. I purchased it on a BOGO special and they arrived promptly. Quality of the dagger is good and I'm using it for a Renaissance costume. This is a nice dagger but it has no edge its just for looks or LARP'ing other then that, the sheath has no way to wear it other then that its nice. 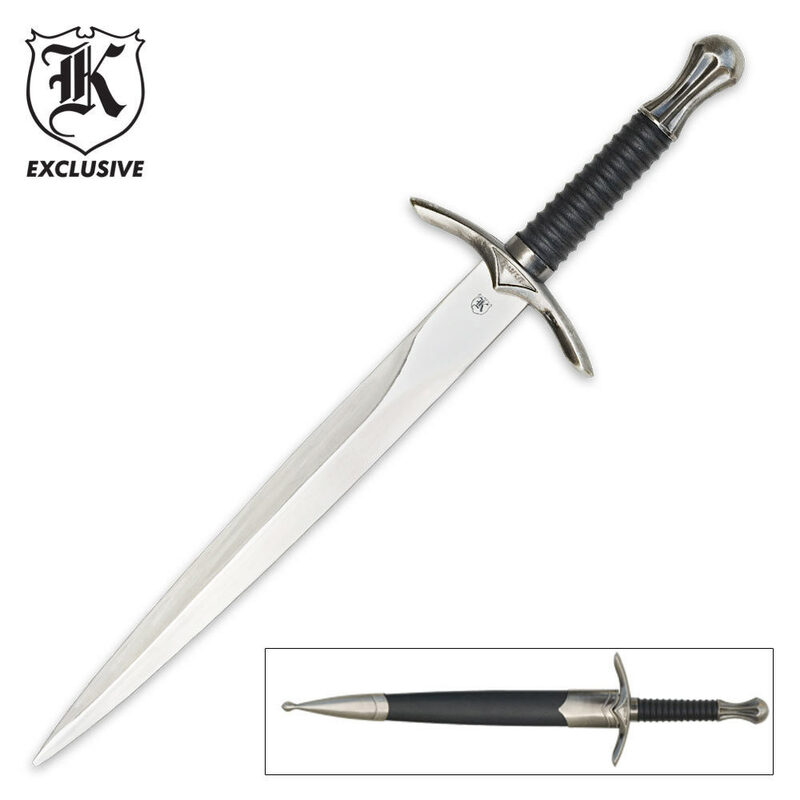 It's an ok sword it is only for the wall tho it brakes easy not sharp but I love the look. 10 dollar dagger you get what you pay for. Looks great good collector piece. The handle is plastic and the blade is completely flat not sharp at all and it is a little flimsy. Fits snug into the sheath which I was surprised at. Shipping took a week. This would be a good prop for LARP events. Amazing! It's especially good for close combat hunting! I had to use it (kind of) for self defense. I pulled out and he ran.